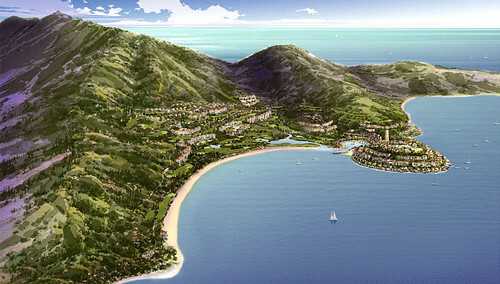 VNRE – Hyatt Regency Danang Resort and Spa will be Hyatt’s second property in Vietnam. 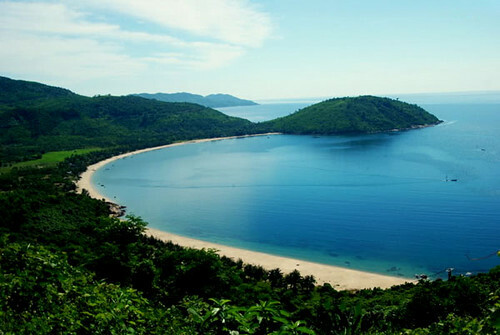 Located on Vietnam’s picturesque central coast, Danang is Vietnam’s third largest city with rich cultural and tourist attractions including three UNESCO World Heritage sites. For more information about the luxury condominiums and villas now available for purchase at Hyatt Regency Danang Resort and Spa, visit: http://www.marblemountainresidences.com. 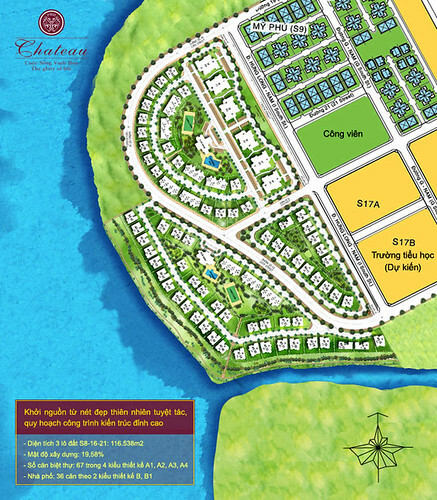 VNRE – Recently, Phu My Hung Corporation said in mid-November 2011, the company will bring to market Chateau Villas phase 1 with 47 products including 35 single villas and 12 garden villas. This is the 85th project to be deployed in urban area, bring the total floor area of the building in Phu My Hung, District 7 to nearly 2 million m2. Chateau Villas is built on an area of 116.538m2, the rate of construction just over 19%, the land use coefficient is 0.53, total floor area of about 62.000m2 and is divided into three phases. Phase 1 of the project is deployed on land area of 55.454m2 but only 16.66% of land for construction, land use coefficient is 0.37. The decisive design concept of the project is based on natural advantages available such as green plants, water and landscape. The overall design of Chateau is styled “garden in garden”, “garden hidden in garden” with first green floor is a private garden in each villa, with area from 280-540m2 for single villas (land area of 510-770 m2); from 84-177m2 for garden villas (land area of 187-294m2). Chateau Villas has also open green space of about 25.000m2 and many amenities include a swimming pool, tennis courts, clubs… very handy for the owner of Chateau use. VNRE – According to a recent survey by Colliers International on global office market, Hochiminh City is currently one of 10 cities in Asia – Pacific which develop office building at the fastest speed. Other cities named in this list are Bangalore, Beijing, Chengdu, Chennai, Delhi, Guangzhou, Mumbai, Shanghai, Tokyo. In which Guangzhou is recorded as the city has the most office space being built all over the world. The report also showed grade A office rents in Hong Kong is the world’s most expensive, followed by London – West End. Paris replaces Tokyo ranks the third, while London – City retains the fifth. In the first half of this year, office rents in Asia – Pacific region tend to increase price and decrease the rate of blank area. VNRE – Vietnam can’t boast many companies that compete overseas. Nguyen Quoc Khanh started one 20 years ago, and he now wins contracts from New York to Kiev. It had been years since Nguyen Quoc Khanh uttered a word of French. Although he studied the language as a schoolboy at the French lycée in Dalat, before the fall of Saigon, he never imagined he’d have much use for it under Vietnam’s socialist regime. But when an electrician friend told him about a French banker who insisted on finding a French-speaking architect to renovate his new offices, he gave it his best shot. 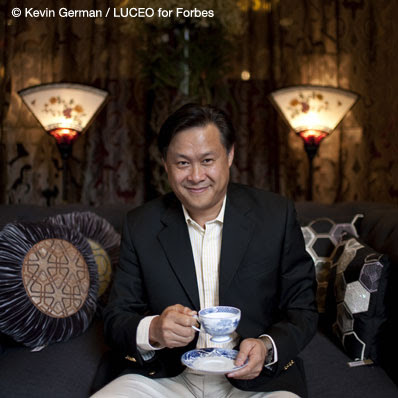 “I understood most of what he said, but the words didn’t come to me easily, so I just kept saying ‘Oui, oui; non, non; c’est possible,'” recalls Khanh, founder and chairman of AA Corp., Vietnam’s largest high-end interior-design company and furniture retailer. Today AA dominates the domestic market for high-end interior design, consistently nabbing 80% of the contracts for four- and five-star hotels around the country, says Khanh. Most corporate offices and up market residences, shops, restaurants and country clubs bear the AA stamp. Over the past five years AA has also pushed for more global business, making its mark on hotels, resorts and residences from the InterContinental in Kiev, Ukraine to the Trump SoHo in New York. Khanh’s firm has completed dozens of five-star hotel projects in the Americas, the Middle East and Europe, as well as in Asia. Khanh, 50, doesn’t have to go far for the business. Hotel contractors around the world seek him out on his home turf in Vietnam. GER Architectural Manufacturing, the custom woodworking contractor that oversaw the interior design for Trump SoHo, was doing an Asia-wide search for a more nimble and less costly production partner and turned to Vietnam. 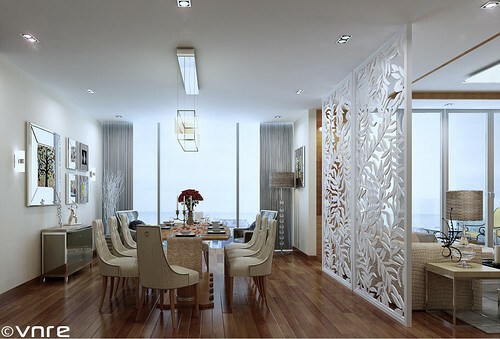 AA tends to be the first name that comes up on a search for interior-design firms in Vietnam, partly by reputation but also because of its initials, which stand for Advanced Architecture. “We didn’t know much English at the time, but that was one of our best decisions,” says Khanh, who started the company in 1990 in Ho Chi Minh City with two fellow architecture students who have since been bought out. The connection with GER put AA on the radar in New York and led to more hotel projects, including the Standard and the Royalton. AA now has three similar partnerships with contractors and has completed 19 luxury hotel projects in 12 cities in the U.S. Despite Khanh’s international success, his company is still small, with $35 million in sales last year. Business was hit by the global recession, which saw hotel construction drop 25% from its peak in 2008 in Asia-Pacific (outside of India and China), Europe and the U.S., according to research firm Lodging Econometrics ( EOMT.PK – news – people ). Profits margins of only 5% to 10% have also held the company back. AA is able to prosper through low operating costs. Labor is extremely cheap in Vietnam: AA pays 1,400 of its 2,000 workers an average of $150 a month, which is still well above the minimum wage. Only three positions are filled by expatriates. His wife helps with the business (the couple has two sons), designing lamps, cushion covers and other furnishings. AA was partly financed by private equity firm Indochina Capital, which owned a 20% stake. But the fund has had to liquidate and Khanh is buying back the shares. “The standout story about AA is how Khanh navigated his way through the economic downturn by taking quick action,” says Stanley Vukmer, the fund’s former managing director, who oversaw the investment. He cites the company’s decision to focus more on regional markets less affected by the hotel slump, such as Asia and the Middle East, as evidence of AA’s strong management. The strategy is already paying off. Sales are on track to grow 30% to $45 million this year. Khanh plans to list the company on the Vietnam stock market early next year, “if the markets aren’t too volatile,” he says. He aims to raise enough capital to expand his production capacity and boost his retail furniture business. His factory in Long An Province, about 45 minutes from Ho Chi Minh City, uses only 60% of his land. He hopes more volume will bring bigger profit margins and turn AA into a $100 million company in the next three to four years. As an architecture student the last thing he expected to become was an entrepreneur. His parents, who ran a bakery and a housing construction business, left their son in the care of relatives when they moved to Saigon. They didn’t want him to follow in their footsteps. They wanted him to have the best education that Dalat, a prestigious academic town, could offer. Back then a professional degree and a secure position in government or at a state-owned enterprise was the one sure path to security and financial stability. He was still studying architecture when he spied his first moneymaking opportunities. Under the communist system university graduates were farmed out to the government corporations that needed them most, but Khanh could still freelance. On the side he built small factories, constructed trade show stalls and designed lacquerware shops for Ho Chi Minh City’s burgeoning tourist trade. He and his partners founded AA with dreams of building all the new offices and hotels that the country would need. Then, in 1991, he took a trip to Singapore, his first outside the country. After one look at all those skyscrapers, “I knew we couldn’t compete.” It was then he decided to focus on interiors. VNRE – On 22/10/2011 morning, Western Bank held a groundbreaking ceremony for construction of the trade center and office building – Western Bank Tower, at 1A Lang Ha Street, Ba Dinh District, Hanoi. Attending the ceremony, outside the Western Bank leaders, Kumho Construction Co. leaders, Korea’s leading Investment Corporation, Lang ha Investment Joint Stock Company leaders, the ceremony also honored to welcome the distinguished guests as Mr Dang Thanh Tam – SGI Chairman, member of the National Assembly from Ho Chi Minh and former Ambassador of Belgium in Vietnam. 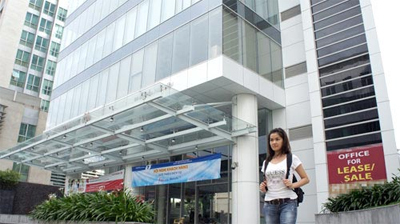 Western Bank Tower is located at the first position on Lang Ha street – a prime location on the street, known as the “Wall Street” of Hanoi capital. Western Bank Tower has a total floor area is 47,080 m2, 34 floors, including 4 basements, 28 floors, 2 technical floors, a roof floor. 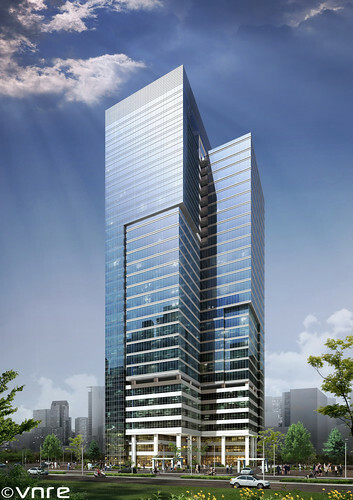 Western Bank Tower will have seven floors used for trade centre. General contractor is Korea’s Kumho Construction and Lang ha Investment Joint Stock Company takes responsibility for project management. The project is expected to be completed and put into use in the quarter IV – 2014. VNRE – Afternoon 10/19, the Danang People’s Committee and Vinpearl Joint Stock Company signed agreement on the investment principles of Van Village resort project at the headquarters of Danang PC. Accordingly, the Danang People’s Committee agreed to assign Vinpearl as investor of Van Village project with total land area and water area is more than 1.500ha (1.050ha of land and 500 ha of water). The Danang People’s Committee will be responsible for site clearance all the land. 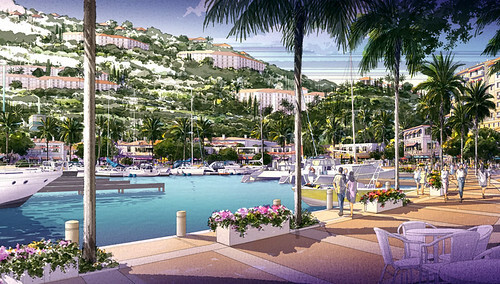 An leader of Vinpearl Corporation, said Van Village resort has a total investment estimated $5 billion, of which the first period has total investment $1 billion. 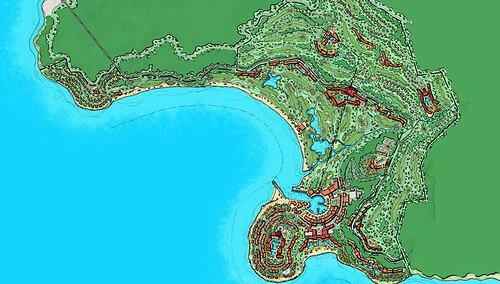 Van Village resort is a large-scale project in the masterplan for development of Da Nang City and was placed in the category of key projects, so Chairman of Danang PC Mr. Van Huu Chien has directed the departments and local authorities to create conditions for Vinpearl to deploy the project as quickly as possible on the basis of the regulations . VNRE – Eden Centre is located on the old Eden commercial center, a long-standing and busy shopping center, it has a strong attachment for a majority of old Saigonese. Eden Centre is built on an area of 8,800 m2 with building scale of 6 basements and 9 floors. Basement area is arranged as underground parking and commercial center, above the regional is office area for rent and a 5-star hotel has 500 rooms. Total floor area of project is 105,666 m2. In particular, the basement area of Eden Centre will inform each other with the basement of the Vincom Center was completed before, so the customer can freely travel, choice of products in the commercial center from Vincom Center to Eden Centre. And from the basement of the Eden Centre the customer can also go to the station of subway line No. 1 Ben Thanh – Suoi Tien through a tunnel from the trade center. Total investment capital is estimated at around 4,500 billion, including clearance costs accounted for 3,700 billion. The project began deployment of underground according to Top-Down construction technology from March – 2011, and began to develop the body from the end of the month June – 2011. 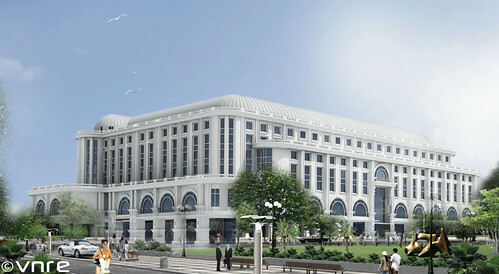 The project is expected to complete the basic raw parts in the quarter 2/2012 and will be put into use from Onctover – 2012. – General contractor for the structure: Uy Nam Construction JSC (Unicons).